Exactly two years after the tragic Germanwings crash which killed all on board, the father of the co-pilot blamed for the incident has held a press conference to dispute claims that his son was depressed and plead his son’s innocence. On March 24, 2015, the Germanwings flight between Barcelona and Düsseldorf crashed into a mountainside, killing all 150 passengers and crew on board. In January 2017, German prosecutors concluded that the co-pilot, Andreas Lubitz, 27, was suicidal and intentionally flew the Germanwings plane into the ground. Günter Lubitz, Andreas’ father, disputes the claims that his son was depressed and suicidal while also claiming that all possible leads had not been explored by investigators. Günter told the media Friday that he had been working with journalist Tim van Beveren, whom he described as "an internationally recognized aerospace expert," to discover the truth about the incident. "I was very surprised that the French investigators found the cause of the accident after just two days," van Beveren said, claiming that authorities had “poisoned” the investigation. 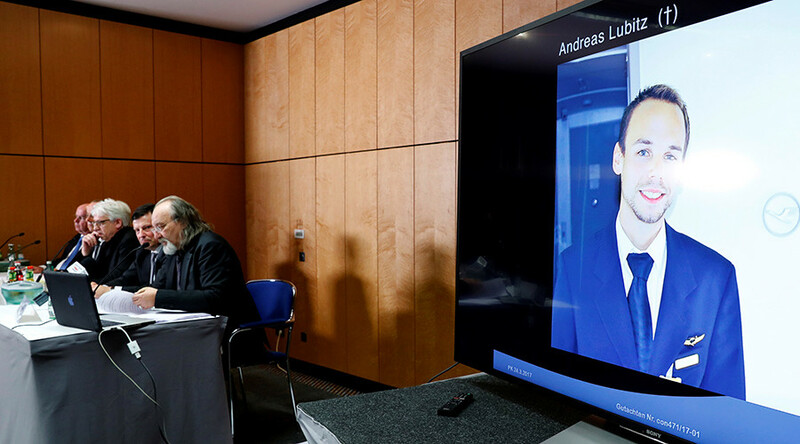 Families of the victims held vigils throughout the day, including at the crash site, but criticized the timing of Lubitz’ press conference as insensitive. Christoph Kumpa, the Düsseldorf prosecutor who led the investigation, said Friday that Lubitz had “suffered for months from insomnia, was anxious about his eyesight, and was suffering doubt," while also asserting that prosecutors, “never claimed that [Lubitz] was depressive,”reports The Local. "It was already clear [for the investigators], that it was the pilot, so all other possibilities can be ignored. It has to be the pilot. And that is dangerous, because then things are suddenly blended out which possibly could have been related," van Beveren told the press. “We all have presumptions, but presumptions are not evidence. And media are reporters, not judges."